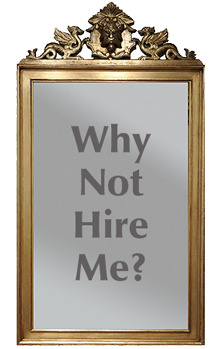 Most of us want to hire applicants like us. That may not be the best idea . . . The hiring process impacts everything. Few leaders would contest the notion that the people hired by your organization directly affect it’s productivity, growth, profitability and the level of customer satisfaction. We have a tendency to hire people we like, or people like us, but we all objectively know that this isn’t always the right decision. Why aren’t we better at interviewing and selecting? Interviewers need a proven methodology for obtaining relevant information and assessing it. They need to know what to look for and how to get the useful information that leads to hiring the best people, not the ones most like themselves. Here are four best practices that will help. If you don’t know where you are going, any road will get you there . . .
Can Do’s – an assessment of the competencies needed to succeed. These are the required skills, abilities and experience needed to do the job. Will Do’s – an assessment of motivation. What is the candidate willing to do? Will he or she travel, work night shifts, initiate sales calls? Fit Factors – an assessment of how the candidate fits into the culture. Can he or she work cooperatively with managers, co-workers, and customers? The closest a person comes to perfection is when they prepare their resume. A careful resumé review highlights both what’s there and what’s not. Reading ahead of time allows the interviewer to look for gaps in time, the frequency of job changes, salary history, and the reasons for leaving past employers. Reviewing resumés and cover letters allows the interviewer to form a preliminary impression of the candidate and to identify issues that relate directly to the position. Questions can be prepared in advance to probe particularly important areas or to fill in the gaps that aren’t clear in the application paperwork. I know of no way of judging the future, but from the past . . . Describe a time when you dealt with a difficult customer. Give an example of a significant project that was completed on a tight deadline. Share what you have done in a past job to save the company money. #4 – Create an interview atmosphere that encourages the applicant to do the vast majority of the talking. There are several protections against hiring the right person and not asking the right questions is the surest. Encourage the candidate to talk. The candidate should spend 80% of the interview time answering questions that are directly related to the position and the criteria established in the job description. Interviewers should understand that when they speak, they interrupt the interview. These interruptions should only be used to probe, clarify, encourage, or to re-focus the candidate back to the specific questions. Using an objective and proven methodology significantly increases the chances that you select the candidate with the best capabilities and fit, not the one who is your closest reflection.